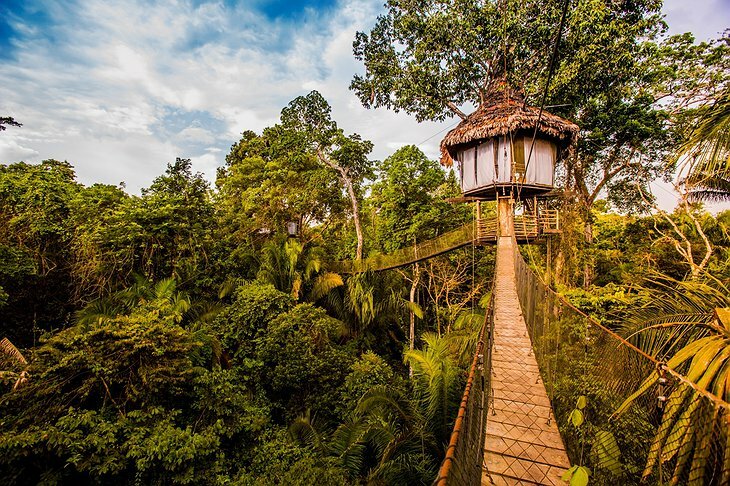 Located in the Peruvian Amazon, the Treehouse Lodge is a magical place for any wildlife or nature lover to stay. 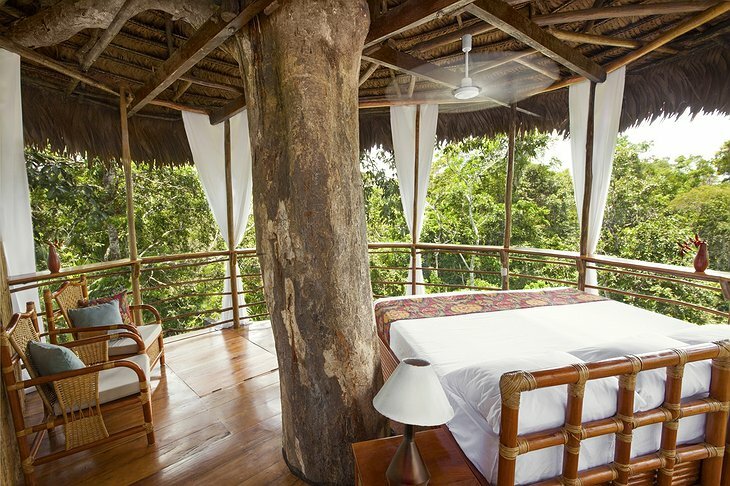 Each of the ten treehouses offers stunning views and a private bathroom. 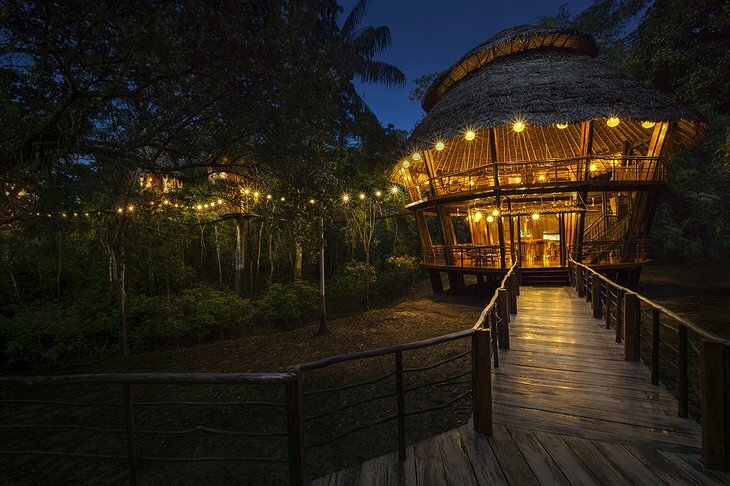 Complete with cozy beds and bamboo furnishings, each treehouse is handcrafted to perfection. 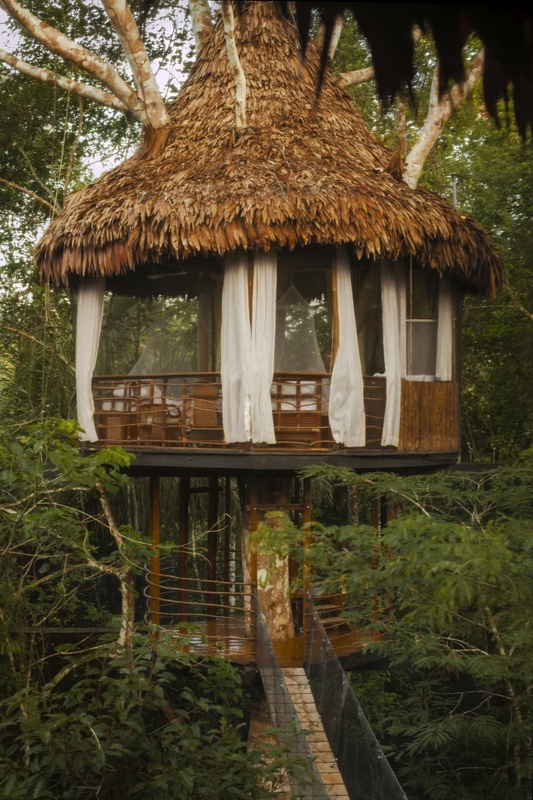 Each treehouse is also surrounded with mosquito mesh to keep those pesky bugs away! 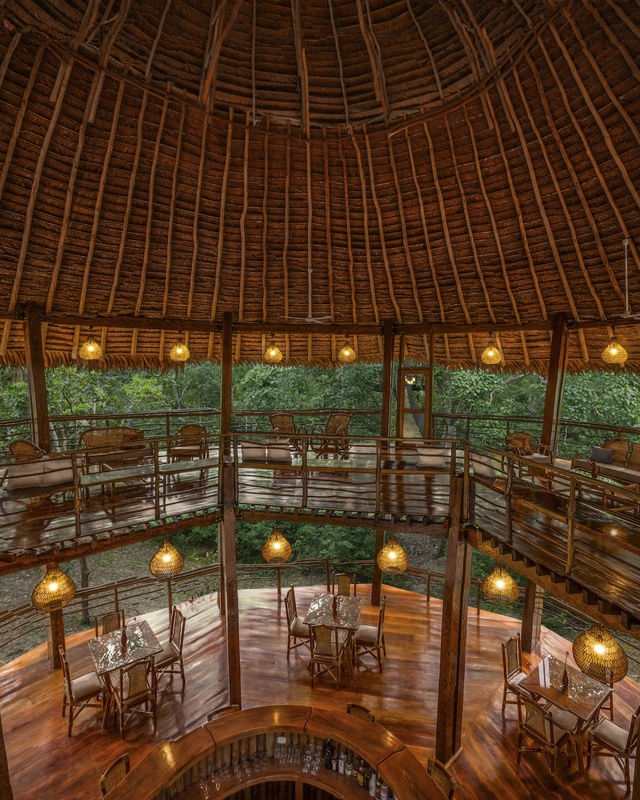 Every guest will have three Peruvian-inspired meals a day which are served in the main lodge. 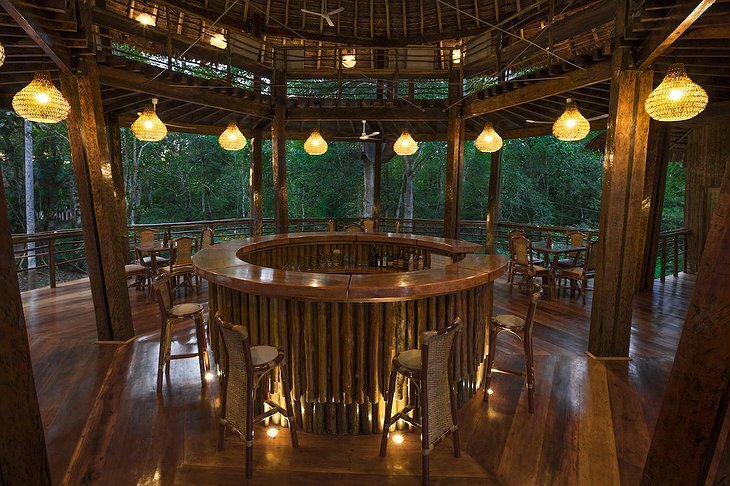 It’s not uncommon for guests to see various monkeys, parakeets, and macaws as they dine in their natural habitat. Once you’re energized from the delicious food, take advantage of the excursions that the staff at the Treehouse Lodge have prepared. From a sunrise and breakfast with the dolphins, to swimming in the Amazon River and going on a jungle walk, there are so many opportunities for guests to connect with nature during their stay. 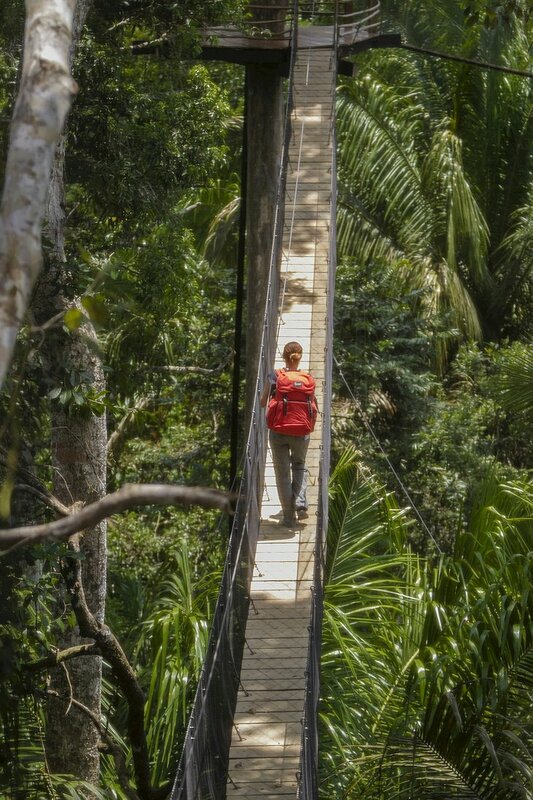 The Lodge is open year-round, so you can escape to the jungle anytime you’d like! However guests should note – this lodge isn’t for the faint-hearted or those who are scared of heights. 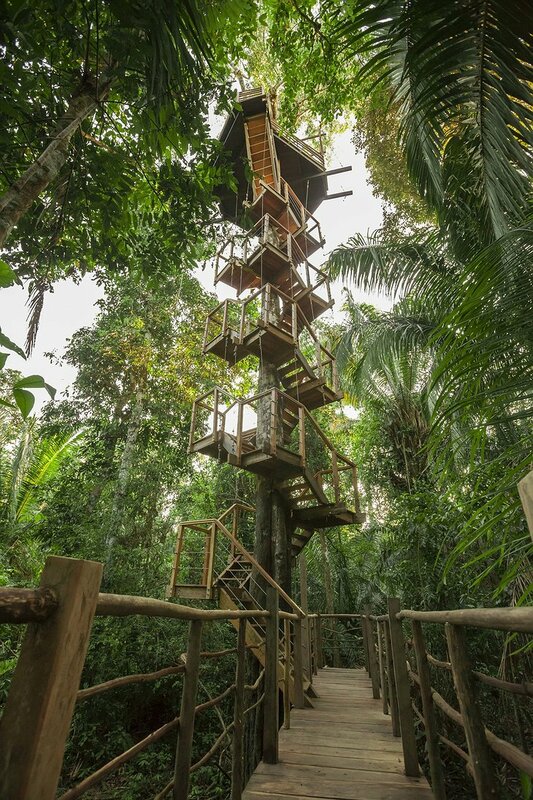 Some of the treehouses are over 65 feet in the air!